Our seemly placid host star is just full of surprises. Just one week ago, it looked like we were set to enter the first spotless stretch of 2016, as the Earthward face of Sol presented one lonely sunspot group going ’round the limb, headed towards the solar far side. Ah, but a few days can make all the difference when it comes to solar astronomy. Late Sunday night we were flooded with new solar images taken by observers worldwide, showing the emergence of sunspot active region AR 2529. This monster spot is easily already number one with a bullet for 2016. How big will AR 2529 get? One thing is for certain: it’ll be turned directly Earthward in just a few days. AR 2529 currently harbors the potential for C-class flares, and could send some love our way in the form of solar flares, and just maybe a coronal mass ejection or two. This also means we could be in for a fine aurora display later this weekend for folks living in high latitudes. This development certainly goes against the prevailing trend. One swallow certainly does not make a spring, and AR 2529 appeared just as we were sliding back towards another solar activity minimum for sunspot cycle 24. The last solar minimum back in 2009 was the deepest in over a century, and some heliophysicists speculate that Cycle #25 may be absent all together. Another idea in the solar astronomy community is that perhaps the classic use of sunspot numbers does not completely describe current solar activity, and perhaps the orientation of what’s known as the solar heliospheric current sheet paints a more accurate picture. Can you see it? We urge all owners of solar scopes and eclipse glasses to get out and try to spot AR 2529 this week. Welder’s glass #14 works great as well. Do not, of course, stare at the Sun unprotected, or attempt the long list of unsafe methods we’ve heard of over the years, to include smoked glass, sunglasses, exposed film negatives, screw-on eyepiece filters, etc. All of these are dangerous. Sunspot Active Region 2529, along with a dramatic white-light flare imaged on April 10th. Image credit: Chris Kennedy. You can also safely project the image of the Sun onto a piece of paper using binoculars and see large sunspots… or you can watch the daily growth and progression of AR 2529 via NASA’s Spaceweather website or the joint NASA/ESA Solar Heliospheric Observatory (SOHO) mission. The Sun rotates once every 25 days at the equator, and slower at the poles. Remember, the Sun is a big whirling ball of gas. The sunpot cycle peaks once every 11 years. AR 2529 shows the hallmarks of a late cycle spot, as it’s located very near the solar equator. One sign that a new solar cycle is underway is the appearance of high latitude sunspots, which then progress towards the equator as the cycle matures. Such a progression in latitude was first noted by Richard Carrington in 1861 and refined by Gustav Spörer, and the charting of such a cycle—known as a Spörer diagram—now bears his name. Image credit: NASA/Public Domain graphic. Is AR 2529 the ‘last hurrah’ of Solar Cycle #24? Will the Sun present a spotless or active face for the transit of Mercury on May 9th? Though Cycle #24 was a lackluster one, it did have some memorable moments, such as the massive sunspot that graced the solar disk during the partial solar eclipse of October 2014. Of course, it’s a lingering mystery as to just why the solar cycle is exactly 11 years long, and whether longer cycles persist. As we study similar activity periods on other stars, we’ll most likely gain an insight to characterize just what powers our own. No other astronomical object is more important to humanity as a species, as the Sun energizes and powers the drama of life on Earth. Outbursts such as the massive 1859 Carrington superflare could spell an extremely bad day for our modern day technologically dependent civilization. It’s imperative to know just what our Sun is doing, now more than ever. To this end, a fleet of Earth and space-based systems keep tabs on Sol 24-7, to include SOHO, SDO, Hinode, Proba-2, and the STEREO A and B spacecraft, just to name a few. In all likelihood, though, AR 2529 will most likely just put on a good show. Solar astronomy, unlike following other objects, is a place where things are happening, sometimes, within the short span of an hour or so. Send those sunspot images in to Universe Today’s Flickr forum… we just might feature ’em in an upcoming post! Humanity, in its current technologically advanced and electronically dependent state, has never experienced a CME of Carrington proportions. We-Have-No-Idea what will happen to us. 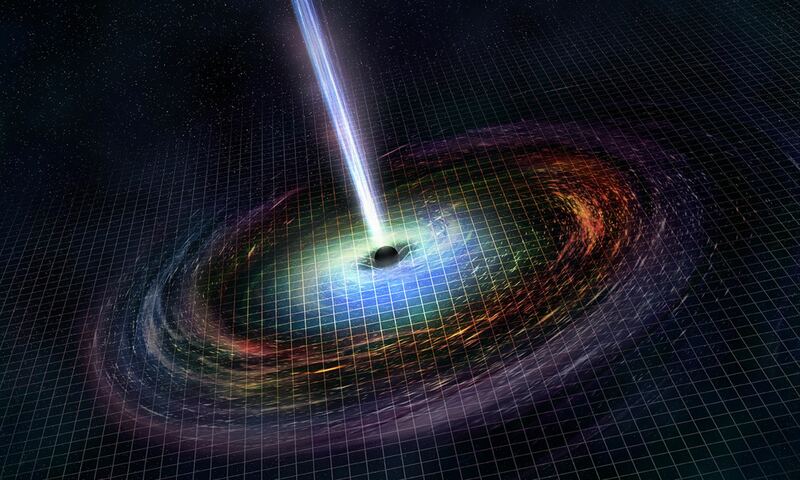 Previous PostPrevious Can We Now Predict When A Neutron Star Will Give Birth To A Black Hole?